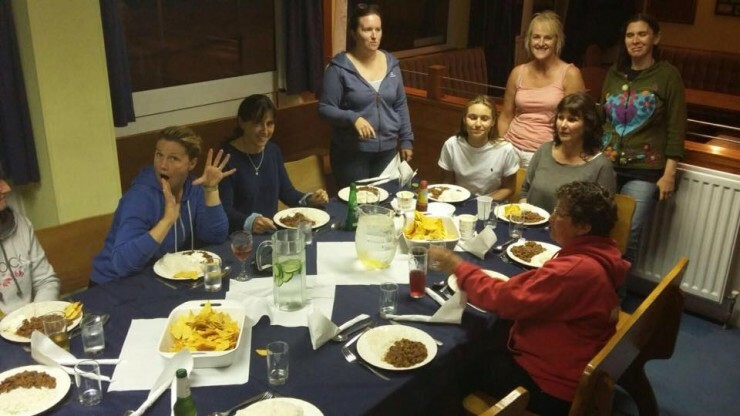 WoW – another excellent evening last night with all 13 ladies getting out in the water and sailing in the windy conditions. A number arrived in slight trepidation including Louise Ayling who had only just completed her Start Sailing course at the weekend. They had been watching the weather during the day and were a little apprehensive about sailing, although itching to go out as they’d not been on the water for a couple of weeks. Instead of the newer sailors having to helm in the strong winds we put them in the picos, with more experienced helms, to learn more about how to crew and more importantly, to see how much fun it is to sail in windy conditions. They all had a blast, and we even managed to sneak in a little race at the end. All came ashore with broad smiles, having learnt more about crewing and how you can manage a boat in windier conditions. Thanks go especially to Will Palmer (who’d just passed his Powerboat course) and Tony Lord who provided safety cover for the ladies. Next WoW at Bognor Sailing Club this Saturday 2-4.30, then next Thursday 6-9.30. All are welcome to attend either or both.